Metal Roofing has recently gained popularity for a number of reasons. 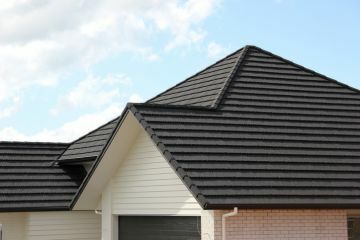 First, the increasing interest in energy-efficient roofing materials is making metal roof installation a great choice. No longer used exclusively for commercial buildings, metal roofs are an attractive option for residential properties as well. M Roofing, LLC has become a leading installer of metal roofs for local customers are looking to achieve the combination of durability and cost effectiveness. You can rely on M Roofing, LLC to install your new metal roof while upholding the highest standards of craftsmanship. Call (832) 856-3853 for a quote today. Today’s metal roofs are much advanced as compared to those made decades ago. Metal roofs can now be made to look like other roofing products. Customers can now choose a variety of textures, patterns and colors. Some examples of modern metal roofs include metal shingle roofs, metal tile roofs and metal shake roofs. With our extensive knowledge of metal roofing installation practices and materials, M Roofing, LLC can expertly install or repair your metal roof with quality results and at great prices. If you are interested in learning more about the wide variety of metal roofing products available, just give our friendly staff a call. We'll set a convenient appointment to pay you a visit to show you how to enhance your home or commercial building with these innovative materials. Whether you choose to re-roof or install a new metal roof, call M Roofing, LLC at (832) 856-3853 and one of our experienced metal roofers will be happy to discuss benefits and options with you.